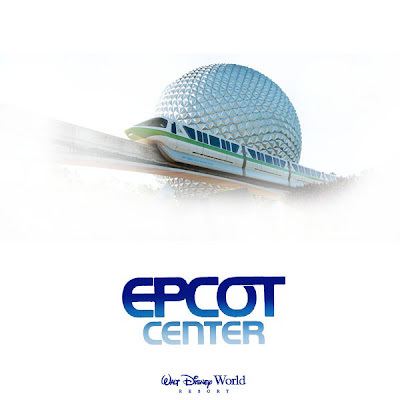 Ok, so EPCOT didn't turn out to be the "Experimental Prototype Community Of Tomorrow" that Walt envisioned. But it still has his spirit, his sense of optimism and wonder. It is still something for the Mouse to be proud of... even if over the last decade or so they've not treated her well. The Walt Disney Company spent 1.4 Billion dollars to build it... I want to sound like Dr. Evil saying that. In 1982 that was a lot of money. Well, it's still a lot of money, just not near as much as it was then. The Mouse hasn't spent anywhere near that amount on a theme park since. The only company that has spent those kinds of numbers to create elaborate Disney attractions is the Oriental Land Company... the only company other than the Mouse with the right to build Disney attractions. When WDW's Third Gate, Disney-MGM Studios (now Disney's Hollywood Studios) was built in 1989 at a cost of less than 800 million. The fourth gate, Disney's Animal Kingdom was around 800 million(after cutting the "Beastly Kingdom" section) when it opened in 1998. The Second Gate in California, Disney's California Adventure was 650 million(after Pressler ordered Braverman to cut the budget by a third) in 2001 and Disney's investment in Hong Kong Disneyland in 2005 which cost 3.5 billion was in the hundreds of millions... 314 million dollars to be exact, with the Hong Kong Government footing the rest of the bill . I won't mention Walt Disney Studios Paris which opened in 2002, because I don't consider it having a budget, especially if you've seen it (granted, it's slowly improving and in a few years will look much more nicely themed). But enough of that... that's old hat. We're in a new time with lots of exciting things happening to the Mouse. The future of the Second Gate at America's Second Disney Resort's is positive and full of promise with the Thirtieth Anniversary around the corner. I'm sure Staggs, unlike Rasulo, won't let Epcot go by without some TLC and a few surprises. Happy Birthday, EPCOT Center! Cool. Focus on the future, I like it! What I hope for most is to see Journey Into Imagination restored to its former glory - just with some updated technology and sets. For me, the best ride ever original to Orlando. As for world showcase...it would be nice for it to be more of a "World" showcase and not primarily a European one...but from what I read the chances of a new country popping up are somewhat slim. That being the case, I hope they focus on adding rides for all the countries currently represented. My top choice: a Miyazaki-based dark ride for Japan. That would add a well themed, Grizzly River Run type of attraction that would also cover up the show building of Soaring. After that there are a couple more attractions that could be placed in strategic areas to erase the "Bad Show," but I don't think there is an easy solution to France unless they blow up those hotels. "Epcot" needs so much help to bring it back to where "EPCOT Center" once stood that I'm not even sure it's worth the effort. It's like trying to renovate a condemned house - At some point, it's simply more economical and efficient to bulldoze the entire thing and start from scratch. Where would you begin? JOURNEY INTO IMAGINATION - So unbelievably threadbare compared to it's original version that it's like the difference between looking at a person when they're healthy and looking at a person when they're on their deathbed from cancer or AIDS or some other debilitating disease that makes you extremely gaunt. The ride is shorter, we still have to suffer through the "B-list celebrity" ego trip that "Epcot" has been dabbling in (In this case, Eric Idle), the post-ride area could euphemistically be called "anemic" at best, the original JII store closed long ago... Whatever next version of JII emerges (if one emerges at all, you never know from Disney) should at least have Dreamfinder re-installed. THE LIVING SEAS - About as jaw-droppingly awful as one could imagine. How much work does it take to destroy what was once one of the world's largest aquariums? Apparently, Disney found out. Instead of making the pavilion better, they've made it outright irrelevant to anyone who isn't dragging around a 5-year old child wishing they were at the Magic Kingdom instead. UNIVERSE OF ENERGY - Even I have to admit that the World of Energy pavilion, nothing more then a 45-minute movie where the seats move, is a tough sell for those who don't want to be there. However, when will someone be brave enough to admit that the "Ellen Experiment" didn't work? At least the original version had a certain gravitas that made the whole pavilion work, that gave it a seriousness and authority. The new version uses the energy theme as a punchline. Please, at the very least (and I don't even endorse this line of thinking but I know that Disney bean counters never fail to see the cheapest way of slighting their customers), update the movie. THE LAND - I know that everyone enjoys "Soarin'" but it's more of Disney's latest trend of "empty calories" amusement rides in a theme park that actually once had substance. Why not make a passing attempt to make the ride educational? What about the history of birds? Or the history of geology? Wouldn't it be neat to fly over the world half a billion years ago? Fly with a pack of pterosauruses? INNOVATIONS - Whenever I want to feel happy, I need to avoid thinking about this place because it does my blood pressure no good. It's sort of like when a new mall opens up and everything is nice but then "the bad crowd" starts to move in, the economy sours, and the next thing you know most of that nice mall is now filled with dollar stores, recruitment centers, and worthless kiosks trying to sell you life insurance or online college courses. I simply don't understand how you can lose The Energy Exchange and gain an area where you make velcro frogs. Innovations is so sad that they should have a Disney cast member standing at each entrance apologizing to you the moment you walk in, like, "Hi. Welcome to Innovations. We're sorry that the best we can do is have a row of antiquated video game consoles lining the wall hawking our lousy movie tie-in video games" or "Hi. Welcome to Innovations. We're sorry that the best thing about The House of Tomorrow is the interactive scattered leaves display while you're waiting." Disneyland Paris cost more than EPCOT! "Disneyland Paris cost more than EPCOT!" They did EuroDisneyland. Not to mention it was almost a decade later, if you adjust for inflation it's even less. What was the exact cost of the Disneyland Paris park (not including the hotels and other resort facilities)? I find it hard to believe that it would cost more than Epcot did in 1982. I'll never forgot October 1, as EPCOT Center and I are both 28 today. Thank you for offering EPCOT Center content, along with items that fulfill and embody the spirit of Walt's original idea. May your future be bright. We'll be here with you.